The learning is not in the completion of the tasks, but in the horse’s reaction to you, (e.g. whether it “obeys”) and how you respond to situation. Participants find that the result often draws startling, strong parallels to their leadership style as well as challenging situations at work, or in their personal lives. 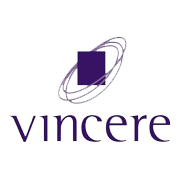 Run by Vincere Coaching, Equina Horse-Assisted Leadership Coaching is the only equine coaching programme of its kind in Southeast Asia. ``LET THE HORSES TALK TO YOU - one of the most powerful personal development experiences of 2011 was to attend the ``horse workshop``. We were asked to interact with the horse in various ways - and the cool thing is that the horse picks up your unconscious thoughts and so its not till you are in a good state of mind that the horse responds positively to you. ``An truly awakening experience. The intuition of the horses was clear from the time you step into their space.